For the uninitiated, Rath is a stand-up comedian who broke into the scene when he and fellow comedian Kanan Gill presented the ‘viral’ Pretentious Movie Reviews on YouTube. He then hosted his own shows, cracked the audience up at his gigs and so on and so forth. I, myself, was unknown to this name till yesterday. Because I am not into stand-up comedy and moreover, entertainment for me is much more than what becomes ‘viral’. But, somewhere, while watching Rath’s video clips just now, I realised I need to stay abreast of these remarkably talented young fellows. Not only was he funny, but that voice, gait, confidence and language play were traits that I haven’t seen in many youngsters of late. His self-deprecating jokes were sharp and sarcastic and I know where they come from. As Bengalis, we almost always passed snide remarks at the Oriya clan, not realising that they can be talented as hell as well. My interactions with local weavers of Odisha changed my perspective completely. And now Rath. Anyway. 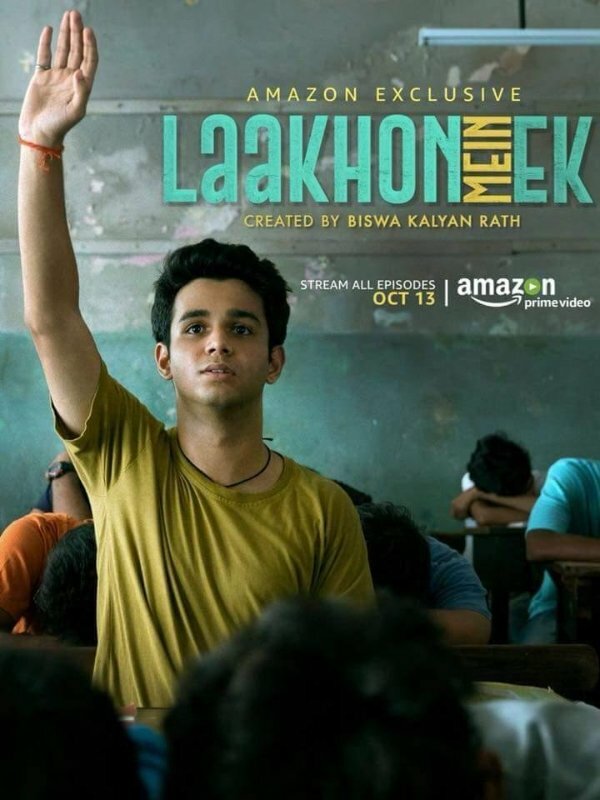 I got introduced to Rath through Lakhon Mein Ek, a web-series he produced for Amazon that stars Ritvik Sahore. While ad clips familiarised me with the series a while back, yesterday I finally watched it. At 12 in the night, I pushed myself to complete the series at one go. Because, it was unputdownable. Compelling, realistic and dark to a large extent, the series revealed that sharp and sarcastic side of Rath that he often passes off with a laugh on stage. 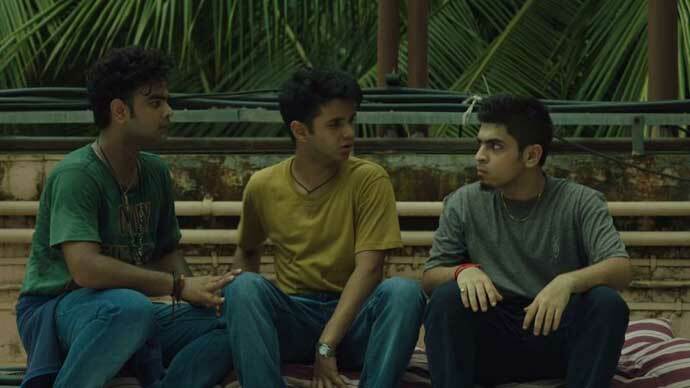 Directed by Abhishek Sengupta, the show is a strong attempt at highlighting a toxic situation that suffocates teenagers with their parents’ ambitions. The series is also a flashlight on the erroneous education system our youth is bogged down with. Stifling and unimaginative to the core, youngsters are forced to banish their dreams in the race to achieve predetermined goals. Instead of finding their core competences and excelling in them, they are coerced into a rigmarole. The system is crippled with corruption, incompetency and mediocrity. There is no scope for creativity, free thoughts and expression. This is a story that is oft-repeated in almost every Indian middle-class home. creative and professional growth), is a natural mimic and wants to study commerce because his brain cannot process scientific and numerical mumbo-jumbo. 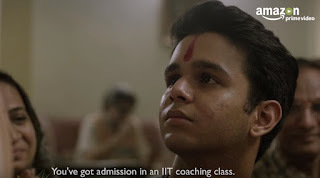 But he has to give in to his father’s diktat and finds himself in an IIT training centre in Vishakhapatnam. Uprooted from his comfort zone, Akash tries to find his footing in this new set up with integrity. But failing to keep up with the syllabus, soon Akash starts towing the line that many other students take. 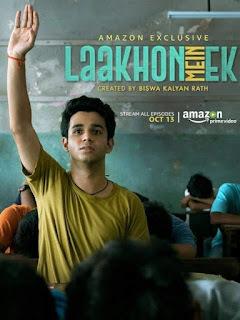 While Akash tries to first cram, then cheat, and then sincerely tries to assimilate the lesson into his simple brain, he loses the grip over the situation. He does find friends in Chudail and Bakri, but even they cannot help him out in his studies. All this while, he just knows that if he does not get into IIT, his father is going to be absolutely disappointed with him. Akash keeps trying to excel but fails miserably. His condition is painted in depressing yet comical colours at stages. This is a guy who is a prisoner to his father’s wishes. He knows his limits but he cannot break free, thanks to the noose his father has put around his neck. 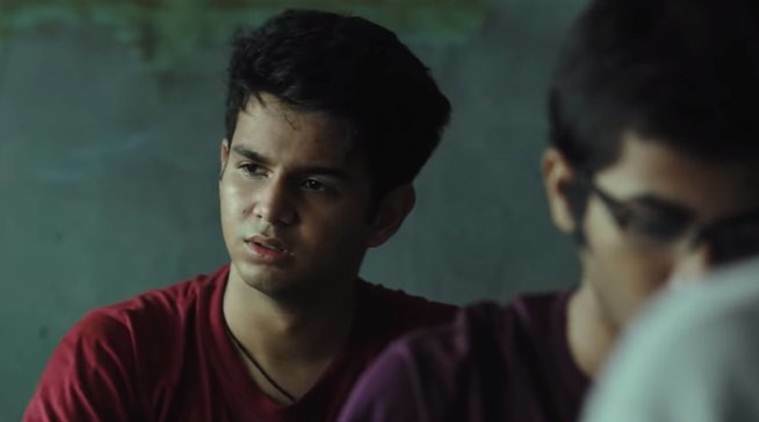 The hostel he lives in is filled with sycophants and Akash barely manages to stay afloat. The sound designer and the cinematographer have done a marvellous job. Akash’s frustration and pain are as much seen as heard. The claustrophobic ambience is nauseating him even as he tries to acclimatise but there is a dead end everywhere. Even when he wants to rationalise with his parents, they shut him up with complaints of his laziness. The father is a martinet who wants to live his dreams vicariously through his son, the mother is a mute spectator. Eventually the happy-go-lucky chap is morose, stressed and on the verge of suicide. draws a depressing picture of the institute, almost like a dungeon where prisoners are jailed. Towards the end, when Akash is seen crying, you want him to howl loudly but even his tears are stifled because he knows his aspirations have no direction. I let out a silent hurrah towards the end when the students vandalize the institute because it’s like a revolution of sorts. It also means that not everyone is cut out to be an IIT-ian and that parents need to understand completely.